Step 1: Print out a copy of this template from your report and safe-keep it. You will need to use it at a later on. Tip: Why not print it on a overhead transparency? 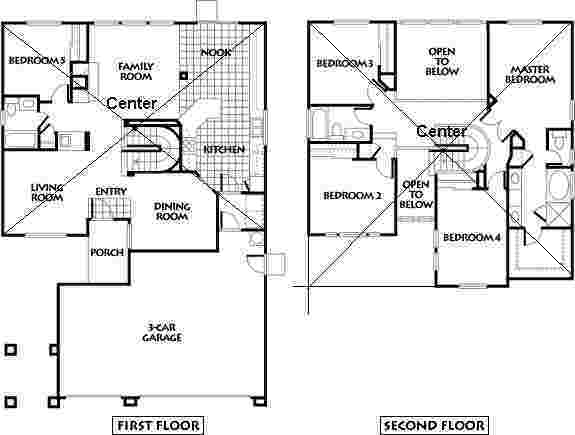 Step 2: Obtain a layout of the house you are evaluating. 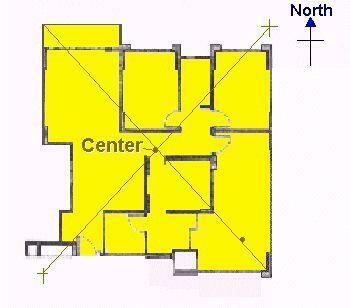 Step 3: Determine the `centre' of the house. Step 4: Determine the direction of the main entrance door.